The UK has the Redgraves, the US has the Barrymores and Sweden has the Skarsgards. 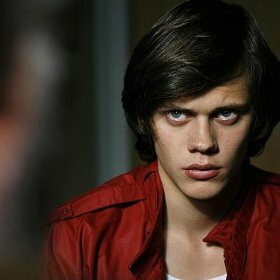 I caught the newest film of twenty-year-old Bill Skarsgard—son of Stellan, younger brother of Alexander—last night at the European Union Film Festival. Called Behind Blue Skies, it details a pivotal summer in the life of Martin (Skarsgard), a high-rise dwelling student from a wealthy section of Stockholm. It’s important that you know Martin lives in a high rise so that you know he isn’t wealthy, like everyone else in his district. Martin’s best friend, Micke (Adam Palsson), is wealthy, however. Early on we meet Micke’s family as his father, Ulf (Rasmus Troedsson), brings home a new color TV. 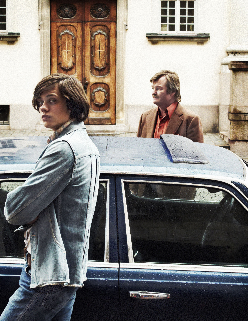 Behind Blue Skies is set in the mid-1970’s and director Hannes Holm perfectly captures the class difference between Micke and Martin in their reaction to the new TV. Micke could care less. He basically greets his dad with, “Another one?” as Martin’s eyes pop out of his head. There’s a brief struggle deciding what to do with the new TV. Ultimately, Ulf offers it to Martin. The new TV? No, an older one they’ll throw away in order to use the new one. Class plays a central role in Behind Blue Skies. The differences between Martin and Micke aren’t limited to just socio-economic status, but it’s the mechanism that begins to drive their friendship apart. 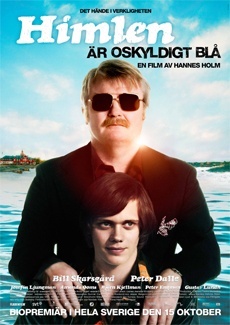 Micke’s parents invite Martin to spend his summer in Sandhamn, a tony Swedish resort town famed for its sailing. (I suppose if this move happened in America it would be set in Mount Desert, or similar.) Martin is visibly excited by this offer until it comes out that Ulf has found him a summer job and he’d have to work to stay and play. Still, Martin has a chance to escape his dreary life at home with his violent, alcoholic father and his down-trodden, day-care operator mother. For a while it looks like Martin won’t be going but then, of course, he does. He’s greeted in picturesque Sandhamn—seriously, the town was presented so idyllically that I was dying for warmer weather and a chance to sail—by Micke and his family only to learn that no, he won’t be staying with them but in the “staff quarters” reserved for resort workers. So not so much hanging out with Micke, then. Here the two friends part ways and for most of the movie we only see Micke in fleeting glimpses as Martin goes about his business working on the island. The friends have a confrontation outside a disco that Martin is managing for his boss. Micke wants to come in with his sailing camp pals but Martin says he’ll only let Micke in since they’re all underage and he isn’t sticking his neck out for Micke’s douchey LaCoste pals. Micke storms off, pissed, and he’s gone again for long stretches. Martin starts out working the job Ulf got him at the yacht club but ends up canned after a beer-stealing episode. Gosta (Peter Dalle), the resort manager brought on by Ulf, offers Martin a chance to hang around a bit longer to do odd jobs for him. It’s pretty clear to the audience that Gosta is trafficking drugs but I’m not sure Martin knows this at first. But Martin wants to stay because now he has a crush on Jenny (Josefin Ljungman), a classically pretty Swedish girl. From here the movie follows a standard coming-of-age plot involving Martin’s sexual awakening, his rise among Gosta’s motley crew, and his confrontation with Micke at a dinner party in which we see for perhaps the first time Micke’s realization that Martin’s life is not anything like his own. In the end, Martin gets caught up in Gosta’s collapsing drug ring until an unlikely benefactor pops in to smooth Martin’s way. Generally I liked Behind Blue Skies. It’s a well acted film with a standard script and direction. I’m resisting the impulse to be swept away just because it’s in a foreign language. You ever have that happen? Someone says, “Oh but you HAVE to see Fancy Foreign Film! It’s the best movie of the year!” And so you watch it and then you want to blow your brains out, it’s so boring and awful (Hello Incendies)? I think there’s a tendency to venerate foreign films just because they’re foreign, so I end up asking myself, If this was in English, would I still like it? In Behind Blue Skies’ case, the answer is: It would still be okay. And it is okay. The standout is Skarsgard, with his gentle face and quiet voice—so much is left stirring below the surface of Martin. It would be easy to infuse him with violence but Martin is basically a big-eyed puppy we see get kicked over and over. He’s too nice to be involved in the things he’s involved in, really. 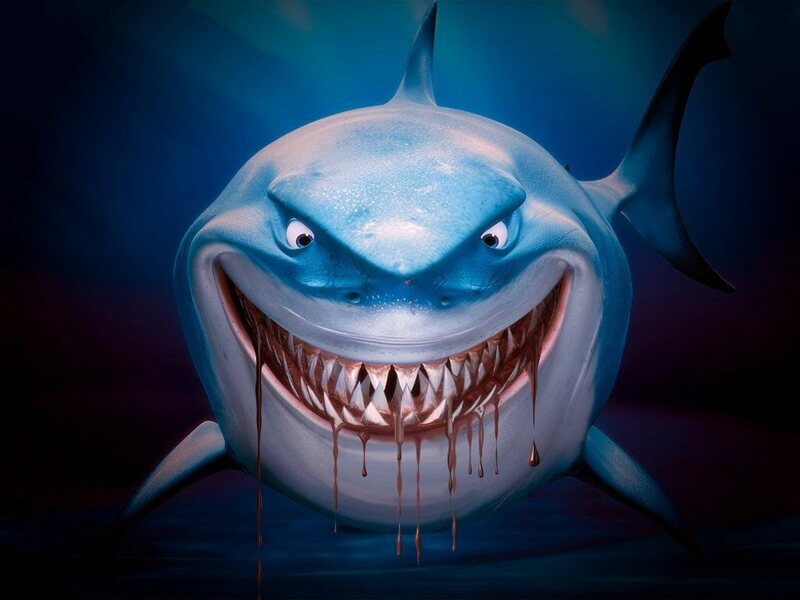 But there is an unmistakable anger burning inside him. Martin does not have and Martin wants. Skarsgard does excellent work here—he really held my attention throughout the film. I was totally in Martin’s corner and when all that anger was finally released it was such a satisfying fist-pump moment. Credit to Skarsgard for making such a disaffected youth who’s involved in Bad Things so sympathetic. But he’s enabled in his performance by Dalle as the drug lord Gosta. Dalle has such a twinkling smile—the last image of him is Gosta flashing that twinkly-eyed crinklegrin at Martin—that it makes it difficult to dislike Gosta even though you know he’s bad and you hate how he’s corrupting Martin. Dalle plays a scene involving police agents and a sniffer dog to great comedic effect—it’s easily one of the best, if not the best, scenes in the movie. Skarsgard and Dalle are what make Behind Blue Skies work. Things that bugged me: The romance between Martin and Jenny is a bit farfetched. Certainly Jenny is very pretty but there’s never anything that leads me to believe she and Martin are so in love that they’ll defy all odds to be together. In fact, I would have accepted an ending in which Martin is just off alone, doing his own thing, just as well. The Martin/Jenny angle felt a bit forced after Jenny left Sandhamn. The police procedural at the end bugged me, too. We have no idea how long Martin is in jail. Once he returns home, his folks act like he’s just been gone for the summer, but then he’s seen languishing in prison. How long was Martin away? Holm does a good job capturing the passing summer without relying on date tags only to completely lose his focus once Martin is arrested. Small inconsistency but it nagged me. In all, Behind Blue Skies is a serviceable coming-of-age tale, worth checking out if you’re a Skarsgard fan. I’m sure Bill will be transitioning into English-language work shortly. They are!! Although I would probably argue that Gustaf is the best actor of the bunch, but he never seems to get his big break in the US. I really enjoyed him in Patrik 1,5.